An Act To protect investors by improving the accuracy and reliability of corporate disclosures made pursuant to the securities laws, and for other purposes. The Sarbanes–Oxley Act of 2002 (Pub.L. 107–204, 116 Stat. 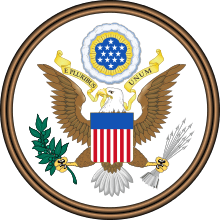 745, enacted July 30, 2002), also known as the "Public Company Accounting Reform and Investor Protection Act" (in the Senate) and "Corporate and Auditing Accountability and Responsibility Act" (in the House) and more commonly called Sarbanes–Oxley, Sarbox or SOX, is a United States federal law that set new or expanded requirements for all U.S. public company boards, management and public accounting firms. There are also a number of provisions of the Act that also apply to privately held companies, for example the willful destruction of evidence to impede a Federal investigation. The bill, which contains eleven sections, was enacted as a reaction to a number of major corporate and accounting scandals, including Enron and WorldCom. The sections of the bill cover responsibilities of a public corporation’s board of directors, adds criminal penalties for certain misconduct, and required the Securities and Exchange Commission to create regulations to define how public corporations are to comply with the law. Sarbanes–Oxley was named after sponsors U.S. Senator Paul Sarbanes (D-MD) and U.S. Representative Michael G. Oxley (R-OH). As a result of SOX, top management must individually certify the accuracy of financial information. In addition, penalties for fraudulent financial activity are much more severe. Also, SOX increased the oversight role of boards of directors and the independence of the outside auditors who review the accuracy of corporate financial statements. The bill, which contains eleven sections, was enacted as a reaction to a number of major corporate and accounting scandals, including those affecting Enron, Tyco International, Adelphia, Peregrine Systems, and WorldCom. These scandals cost investors billions of dollars when the share prices of affected companies collapsed, and shook public confidence in the US securities markets. The act contains eleven titles, or sections, ranging from additional corporate board responsibilities to criminal penalties, and requires the Securities and Exchange Commission (SEC) to implement rulings on requirements to comply with the law. Harvey Pitt, the 26th chairman of the SEC, led the SEC in the adoption of dozens of rules to implement the Sarbanes–Oxley Act. It created a new, quasi-public agency, the Public Company Accounting Oversight Board, or PCAOB, charged with overseeing, regulating, inspecting, and disciplining accounting firms in their roles as auditors of public companies. The act also covers issues such as auditor independence, corporate governance, internal control assessment, and enhanced financial disclosure. The nonprofit arm of Financial Executives International (FEI), Financial Executives Research Foundation (FERF), completed extensive research studies to help support the foundations of the act. The act was approved by the House by a vote of 423 in favor, 3 opposed, and 8 abstaining and by the Senate with a vote of 99 in favor and 1 abstaining. President George W. Bush signed it into law, stating it included "the most far-reaching reforms of American business practices since the time of Franklin D. Roosevelt. The era of low standards and false profits is over; no boardroom in America is above or beyond the law." Debate continued as of 2007 over the perceived benefits and costs of SOX. Opponents of the bill have claimed it has reduced America's international competitive edge against foreign financial service providers because it has introduced an overly complex regulatory environment into US financial markets. A study commissioned by NYC Mayor Michael Bloomberg and US Sen. Charles Schumer, (D-NY), cited this as one reason America's financial sector is losing market share to other financial centers worldwide. Proponents of the measure said that SOX has been a "godsend" for improving the confidence of fund managers and other investors with regard to the veracity of corporate financial statements. The 10th anniversary of SOX coincided with the passing of the Jumpstart Our Business Startups (JOBS) Act, designed to give emerging companies an economic boost, and cutting back on a number of regulatory requirements. Title VI consists of four sections and defines practices to restore investor confidence in securities analysts. It also defines the SEC's authority to censure or bar securities professionals from practice and defines conditions under which a person can be barred from practicing as a broker, advisor, or dealer. Title VII consists of five sections and requires the Comptroller General and the SEC to perform various studies and report their findings. Studies and reports include the effects of consolidation of public accounting firms, the role of credit rating agencies in the operation of securities markets, securities violations, and enforcement actions, and whether investment banks assisted Enron, Global Crossing, and others to manipulate earnings and obfuscate true financial conditions. Title VIII consists of seven sections and is also referred to as the "Corporate and Criminal Fraud Accountability Act of 2002". It describes specific criminal penalties for manipulation, destruction or alteration of financial records or other interference with investigations, while providing certain protections for whistle-blowers. Title IX consists of six sections. This section is also called the "White Collar Crime Penalty Enhancement Act of 2002." This section increases the criminal penalties associated with white-collar crimes and conspiracies. It recommends stronger sentencing guidelines and specifically adds failure to certify corporate financial reports as a criminal offense. Senator Sarbanes's bill passed the Senate Banking Committee on June 18, 2002, by a vote of 17 to 4. On June 25, 2002, WorldCom revealed it had overstated its earnings by more than $3.8 billion during the past five quarters (15 months), primarily by improperly accounting for its operating costs. Senator Sarbanes introduced Senate Bill 2673 to the full Senate that same day, and it passed 97–0 less than three weeks later on July 15, 2002. Lord & Benoit issued a research report in 2008 called The Lord & Benoit Report: The Sarbanes-Oxley Investment. The average cost of complying with Section 404(a) for non-accelerated filers (smaller public companies) was $53,724. Total costs of complying with Section 404(a) ranged from as low as $15,000 for a smaller software company to as high as $162,000. The initial prediction by the SEC was an average cost of $91,000 for public companies complying with Section 404(a). "Accounting problems have traditionally been a small company phenomenon, and the stock exchange is talking about exempting those most prone to abuse," said Barbara Roper, the Consumer Federation of America's director of investor protection. "It's a bad idea." She noted a January study by consulting firm Lord & Benoit that found complying with Sarbanes-Oxley would cost small companies an average of $78,000 the first year, or less than the $91,000 initially predicted by the SEC. Iliev (2007): This research paper indicated that SOX 404 indeed led to conservative reported earnings but also reduced — rightly or wrongly — stock valuations of small firms. Lower earnings often cause the share price to decrease. Skaife/Collins/Kinney/LaFond (2006): This research paper indicates that borrowing costs are much lower for companies that improved their internal control, by between 50 and 150 basis points (.5 to 1.5 percentage points). Some have asserted that Sarbanes–Oxley legislation has helped displace business from New York to London, where the Financial Conduct Authority regulates the financial sector with a lighter touch. In the UK, the non-statutory Combined Code of Corporate Governance plays a somewhat similar role to SOX. See Howell E. Jackson & Mark J. Roe, "Public Enforcement of Securities Laws: Preliminary Evidence" (Working Paper January 16, 2007). London based Alternative Investment Market claims that its spectacular growth in listings almost entirely coincided with the Sarbanes Oxley legislation. In December 2006 Michael Bloomberg, New York's mayor, and Charles Schumer, a U.S. senator from New York, expressed their concern. Section 302 of the Act mandates a set of internal procedures designed to ensure accurate financial disclosure. The signing officers must certify that they are "responsible for establishing and maintaining internal controls" and "have designed such internal controls to ensure that material information relating to the company and its consolidated subsidiaries is made known to such officers by others within those entities, particularly during the period in which the periodic reports are being prepared." 15 U.S.C. § 7241(a)(4). The officers must "have evaluated the effectiveness of the company's internal controls as of a date within 90 days prior to the report" and "have presented in the report their conclusions about the effectiveness of their internal controls based on their evaluation as of that date." Id..
a. Rules To Prohibit. It shall be unlawful, in contravention of such rules or regulations as the Commission shall prescribe as necessary and appropriate in the public interest or for the protection of investors, for any officer or director of an issuer, or any other person acting under the direction thereof, to take any action to fraudulently influence, coerce, manipulate, or mislead any independent public or certified accountant engaged in the performance of an audit of the financial statements of that issuer for the purpose of rendering such financial statements materially misleading. b. Enforcement. In any civil proceeding, the Commission shall have exclusive authority to enforce this section and any rule or regulation issued under this section. c. No Preemption of Other Law. The provisions of subsection (a) shall be in addition to, and shall not supersede or preempt, any other provision of law or any rule or regulation issued thereunder. d. Deadline for Rulemaking. The Commission shall—1. propose the rules or regulations required by this section, not later than 90 days after the date of enactment of this Act; and 2. issue final rules or regulations required by this section, not later than 270 days after that date of enactment. Under Section 404 of the Act, management is required to produce an "internal control report" as part of each annual Exchange Act report. See 15 U.S.C. § 7262. The report must affirm "the responsibility of management for establishing and maintaining an adequate internal control structure and procedures for financial reporting." 15 U.S.C. § 7262(a). The report must also "contain an assessment, as of the end of the most recent fiscal year of the Company, of the effectiveness of the internal control structure and procedures of the issuer for financial reporting." To do this, managers are generally adopting an internal control framework such as that described in COSO. SOX 404 compliance costs represent a tax on inefficiency, encouraging companies to centralize and automate their financial reporting systems. This is apparent in the comparative costs of companies with decentralized operations and systems, versus those with centralized, more efficient systems. For example, the 2007 Financial Executives International (FEI) survey indicated average compliance costs for decentralized companies were $1.9 million, while centralized company costs were $1.3 million. Costs of evaluating manual control procedures are dramatically reduced through automation. After the SEC and PCAOB issued their guidance, the SEC required smaller public companies (non-accelerated filers) with fiscal years ending after December 15, 2007 to document a Management Assessment of their Internal Controls over Financial Reporting (ICFR). Outside auditors of non-accelerated filers however opine or test internal controls under PCAOB (Public Company Accounting Oversight Board) Auditing Standards for years ending after December 15, 2008. Another extension was granted by the SEC for the outside auditor assessment until years ending after December 15, 2009. The reason for the timing disparity was to address the House Committee on Small Business concern that the cost of complying with Section 404 of the Sarbanes–Oxley Act of 2002 was still unknown and could therefore be disproportionately high for smaller publicly held companies. On October 2, 2009, the SEC granted another extension for the outside auditor assessment until fiscal years ending after June 15, 2010. The SEC stated in their release that the extension was granted so that the SEC's Office of Economic Analysis could complete a study of whether additional guidance provided to company managers and auditors in 2007 was effective in reducing the costs of compliance. They also stated that there will be no further extensions in the future. (a) Certification of Periodic Financial Reports.— Each periodic report containing financial statements filed by an issuer with the Securities Exchange Commission pursuant to section 13(a) or 15(d) of the Securities Exchange Act of 1934 (15 U.S.C. 78m (a) or 78o (d)) shall be accompanied by a written statement by the chief executive officer and chief financial officer (or equivalent thereof) of the issuer. (2) willfully certifies any statement as set forth in subsections (a) and (b) of this section knowing that the periodic report accompanying the statement does not comport with all the requirements set forth in this section shall be fined not more than $5,000,000, or imprisoned not more than 20 years, or both. One of the highlights of the law was a provision that allowed the SEC to force a company's CEO or CFO to disgorge any executive compensation (such as bonus pay or proceeds from stock sales) earned within a year of misconduct that results in an earnings restatement. However, according to Gretchen Morgenson of The New York Times, such clawbacks have actually been rare, due in part to the requirement that the misconduct must be either deliberate or reckless. The SEC did not attempt to claw back any executive compensation until 2007, and as of December 2013 had only brought 31 cases, 13 of which were begun after 2010. However, according to Dan Whalen of the accounting research firm Audit Analytics, the threat of clawbacks, and the time-consuming litigation associated with them, has forced companies to tighten their financial reporting standards. However, the number of IPOs had declined to 87 in 2001, well down from the highs, but before Sarbanes–Oxley was passed. In 2004, IPOs were up 195% from the previous year to 233. There were 196 IPOs in 2005, 205 in 2006 (with a sevenfold increase in deals over $1 billion) and 209 in 2007. Former Federal Reserve Chairman Alan Greenspan praised the Sarbanes–Oxley Act in 2005: "I am surprised that the Sarbanes–Oxley Act, so rapidly developed and enacted, has functioned as well as it has...the act importantly reinforced the principle that shareholders own our corporations and that corporate managers should be working on behalf of shareholders to allocate business resources to their optimum use." The Financial Executives International (FEI) 2007 study and research by the Institute of Internal Auditors (IIA) also indicate SOX has improved investor confidence in financial reporting, a primary objective of the legislation. The IIA study also indicated improvements in board, audit committee, and senior management engagement in financial reporting and improvements in financial controls. One fraud uncovered by the Securities and Exchange Commission (SEC) in November 2009  may be directly credited to Sarbanes-Oxley. The fraud, which spanned nearly 20 years and involved over $24 million, was committed by Value Line (NASDAQ: VALU) against its mutual fund shareholders. The fraud was first reported to the SEC in 2004 by the then Value Line Fund (NASDAQ: VLIFX) portfolio manager and Chief Quantitative Strategist, Mr. John (Jack) R. Dempsey of Easton, Connecticut, who was required to sign a Code of Business Ethics as part of SOX. Restitution totaling $34 million was placed in a fair fund and returned to the affected Value Line mutual fund investors. The Commission ordered Value Line to pay a total of $43,705,765 in disgorgement, prejudgment interest and civil penalty, and ordered Buttner, CEO and Henigson, COO to pay civil penalties of $1,000,000 and $250,000, respectively. The Commission further imposed officer and director bars and broker-dealer, investment adviser, and investment company associational bars (“Associational Bars”) against Buttner and Henigson. No criminal charges were filed. The Sarbanes–Oxley Act has been praised for nurturing an ethical culture as it forces top management to be transparent and employees to be responsible for their acts whilst protecting whistleblowers. In its March 4, 2014 Lawson v. FMR LLC decision the United States Supreme Court rejected a narrow reading of the SOX whistleblower protection and instead held that the anti-retaliation protection that the Sarbanes–Oxley Act of 2002 provides to whistleblowers applies also to employees of a public company's private contractors and subcontractors. In its February 25, 2015 Yates v. United States (2015) decision the US Supreme Court sided with Yates by reversing the previous judgement, with a plurality of the justices reading the Act to cover "only objects one can use to record or preserve information, not all objects in the physical world." Justice Samuel Alito concurred in the judgment and noted that the statute's nouns and verbs only applies to filekeeping and not fish. 1 2 Bumiller, Elisabeth (2002-07-31). "Bush Signs Bill Aimed at Fraud in Corporations". The New York Times. ↑ "Not Everyone Hates SarbOx". BusinessWeek.com. Bloomberg L.P. 28 January 2007. Retrieved 13 March 2014. ↑ Lucas, Nance (2004). "Sarbanes Interview". Findarticles.com. Retrieved 2010-08-27. ↑ "SEC Annual Budget". Sec.gov. 2009-06-23. Retrieved 2010-08-27. ↑ "SEC Levitt Speech The Numbers Game". Retrieved 2010-08-27. ↑ Wood, David A. (December 2012). "Internal Audit Outsourcing and the Risk of Misleading or Fraudulent Financial Reporting: Did Sarbanes-Oxley Get It Wrong?". Contemporary Accounting Research. 29 (4). doi:10.1111/j.1911-3846.2012.01141.x. ↑ "Five years of Sarbanes–Oxley". The Economist. 2007-07-26. ↑ Shakespeare, Catharine (2008). "Sarbanes–Oxley Act of 2002 Five Years On: What Have We Learned?". Journal of Business & Technology Law: 333. ↑ "FEI 2007 Survey of SOX 404 Costs". Fei.mediaroom.com. 2008-04-30. Retrieved 2010-08-27. ↑ "Foley & Lardner 2007 Study". Foley.com. 2007-02-08. Retrieved 2010-08-27. ↑ Butler, Henry N. (2006-06-05). "''The Sarbanes–Oxley Debacle''". Aei.org. Retrieved 2010-08-27. ↑ Bob Benoit (January 11, 2008). "The Lord & Benoit Report: The Sarbanes-Oxley Investment: A Section 404 Cost Study for Smaller Public Companies" (PDF). Lord & Benoit, LLC. ↑ Neil Roland (June 23, 2008). "Low odds for NYSE effort to ease SarbOx: Big Board wants law relaxed for small, mid-size players" (PDF). FinancialWeek. ↑ "The Effect of Corporate Governance Regulation on Transparency: Evidence from the Sarbanes-Oxley Act of 2002". Papers.ssrn.com. Retrieved 2010-08-27. ↑ "The Effect of the Sarbanes–Oxley Act (Section 404) Management's Report on Audit Fees, Accruals and Stock Returns". Papers.ssrn.com. Retrieved 2010-08-27. ↑ "Lord & Benoit Report" (PDF). Retrieved 2010-08-27. ↑ "Benoit WSJ" (PDF). Retrieved 2010-08-27. ↑ "IIA Research SOX Looking at the Benefits". Theiia.org. Retrieved 2010-08-27. ↑ "SSRN-The Effect of the Sarbanes–Oxley Act on Non-U.S. Companies Cross-Listed in the U.S. by Kate Litvak". Papers.ssrn.com. Retrieved 2010-08-27. ↑ "Final Rule: Certification of Disclosure in Companies' Quarterly and Annual Reports". Sec.gov. Retrieved 2010-08-27. ↑ "SEC Final Rules 33–8238". Sec.gov. Retrieved 2010-08-27. ↑ "SEC-Press Release on 401(c) Report-June 15, 2005". Sec.gov. 2005-06-15. Retrieved 2010-08-27. ↑ "Report and Recommendations Pursuant to Section 401(c) of the Sarbanes-Oxley Act of 2002 On Arrangements with Off-Balance Sheet Implications, Special Purpose Entities, and Transparency of Filings by Issuers" (PDF). Retrieved 2010-08-27. ↑ "Policy Statement: Interagency Statement on Sound Practices Concerning Elevated Risk Complex Structured Finance Activities" (PDF). Retrieved 2010-08-27. 1 2 "SEC Interpretive Release: Commission Guidance Regarding Management's Report on Internal Control Over Financial Reporting Under Section 13(a) or 15(d) of the Securities Exchange Act of 1934" (PDF). Retrieved 2010-08-27. ↑ "FEI Survey 2007". Fei.mediaroom.com. 2008-04-30. Retrieved 2010-08-27. ↑ "Final Report: Advisory Committee on Smaller Public Companies" (PDF). Retrieved 2010-08-27. ↑ "Dodd-Shelby Amendment". Dodd.senate.gov. 2007-04-25. Retrieved 2010-08-27. ↑ "Sarbanes–Oxley: Progressive Punishment for Regressive Victimization, 44 Hous. L. Rev. 95 (2007)" (PDF). Papers.ssrn.com. Retrieved 2010-08-27. ↑ "SEC Press Release:Final Stage of Section 404 of Sarbanes–Oxley to Begin in June". Sec.gov. Retrieved 2010-08-27. ↑ "Internal control over financial reporting in exchange act periodic reports of non-accelerated filers" (PDF). SEC.gov. Retrieved 2010-09-15. ↑ Morgenson, Gretchen (2013-12-29). "Clawbacks? They're Still a Rare Breed". The New York Times. ↑ "Regulation and Bonding: The Sarbanes-Oxley Act and the Flow of International Listings". Journal of Accounting Research. May 2008. doi:10.1111/j.1475-679X.2008.00279.x. ↑ Newt Gingrich; David W. Kralik (2008-11-05). "Gingrich". Sfgate.com. Retrieved 2010-08-27. ↑ "Hoover's IPO Scorecard Reveals Only Slight Growth in 2007". Hoovers.com. 2008-01-04. Retrieved 2012-06-13. ↑ "Hoover's IPO Analysis For 2001 Shows Resurgence Of "Not-Coms" | Hoover's: The most comprehensive business info available". Hoovers.com. 2002-01-03. Retrieved 2010-08-27. ↑ "Hoover's IPO Scorecard Reveals Increase In Momentum In 2006, Along With Seven-Fold Increase In Number of $1 Billion-Plus Deals". Hoovers.com. 2007-01-03. Retrieved 2010-08-27. ↑ "Hoover's IPO Scorecard Reveals Only Slight Growth in 2007". Hoovers.com. 2008-01-04. Retrieved 2010-08-27. ↑ "Greenspan praises SOX". Federalreserve.gov. 2005-05-15. Retrieved 2010-08-27. ↑ Farrell, Greg (2007-07-30). "USA Today — SOX Law Has Been a Pretty Clean Sweep". Usatoday.com. Retrieved 2010-08-27. ↑ "FEI Survey". Fei.mediaroom.com. 2008-04-30. Retrieved 2010-08-27. ↑ "IIA Study". Theiia.org. Retrieved 2010-08-27. ↑ "Glass Lewis Survey of Restatements" (PDF). Retrieved 2010-08-27. ↑ "Administrative Proceeding: Value Line, Inc., Value Line Securities, Inc., Jean Bernhard Buttner, and David Henigson" (PDF). Retrieved 2010-08-27. ↑ "Publisher Value Line may take earnings hit from SEC inquiry". Marketwatch.com. Retrieved 2010-08-27. ↑ Vidya, Sree (2009-11-09). "Value Line Settlement Marks End of Buttner Reign". Bloomberg.com. Retrieved 2010-08-27. ↑ Keating, Gina (2009-11-04). "Value Line, execs to pay $45 mln in SEC case". Reuters.com. Retrieved 2010-08-27. ↑ "Whistleblower Protection Under The Sarbanes-Oxley Act" (PDF). Newyork law journal. 2003-06-26. Retrieved 2011-03-04. ↑ "Complaint: Free Enterprise Fund, et al. v. The Public Company Accounting Oversight Board, et al. UNITED STATES DISTRICT COURT - Case 1:06CV00217" (PDF). The Wall Street Journal. ↑ "Washington Post". Washington Post. 2008-07-20. Retrieved 2010-08-27. ↑ "NPR-Supreme Court Considers Sarbanes-Oxley Board". Npr.org. 2009-12-07. Retrieved 2010-08-27. ↑ "NY Sun Editorial". Nysun.com. Retrieved 2010-08-27. ↑ "12_7_09 Oral Argument Transcript" (PDF). Supremecourtus.gov. Archived from the original (PDF) on December 21, 2009. Retrieved 2010-08-27. ↑ Norris, Floyd; Liptak, Adam (June 28, 2010). "Supreme Court Upholds Accounting Board". The New York Times. ↑ Rapp, Geoffrey. "Opinion analysis: Coverage of SOX whistleblower protection is no longer Up in the Air". SCOTUSblog. Retrieved June 24, 2014. ↑ Supreme Court Fish Case: Alito Saves the Day, Kagan Cites Dr. Seuss. Retrieved 27 February 2015.